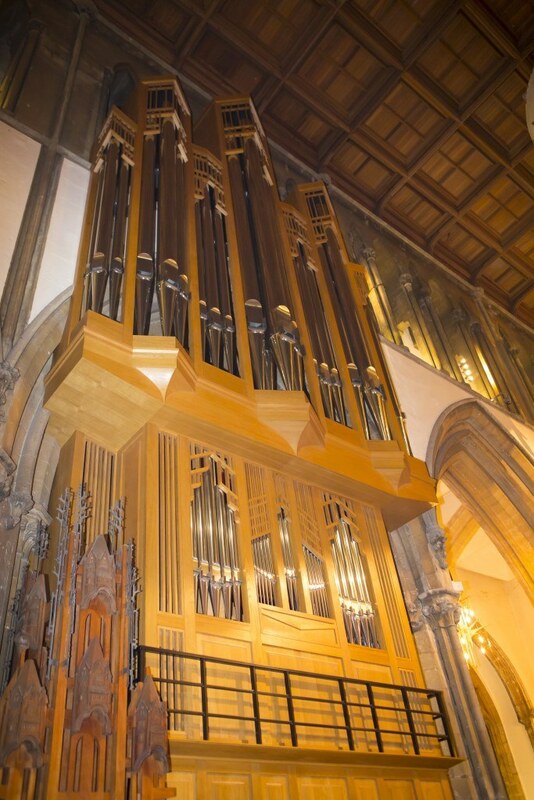 We are very fortunate at Llandaff to have a fairly new organ, built by Nicholson and Company of Malvern in 2010 (www.nicholsonorgans.co.uk). It consists of 4,870 pipes, 80 stops and 4 manuals. 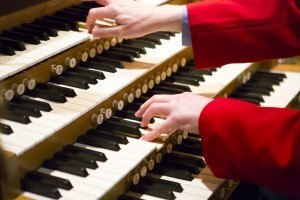 One of the criteria Nicholson’s had to meet was to fill the Cathedral with sound without having to play full organ all the time. This they achieved admirably by installing a ‘West Great’ Division to speak down the Nave and adding West shutters to the Swell Boxes which can be disabled from the console when accompanying the midweek choral services in the Quire. 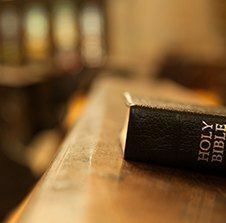 The case, designed by Simon Platt, is made of light American oak. 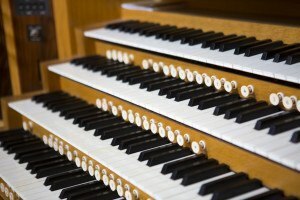 It is considered to be the largest British Cathedral organ built by a British builder since the mid-1960s. 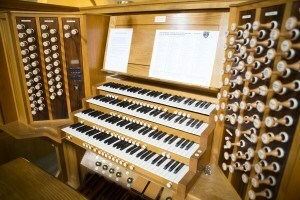 The previous organ was installed when the Cathedral was re-consecrated in 1957 following the war damage. 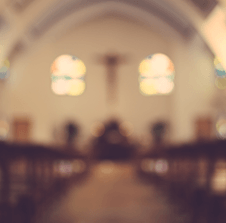 At the time, there was a shortage of materials, skills and money and the organ served the Cathedral for fifty years but it was never a satisfactory instrument; poorly sited and inadequate for a full congregation. In 2007 the Cathedral took a direct hit from a lightning strike which damaged the electrical system and rendered the organ unusable. 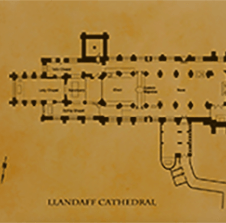 A booklet entitled ‘The Organs of Llandaff Cathedral’ gives the full known history of the organs together with their specifications and pictures – it is available from the Cathedral Shop. 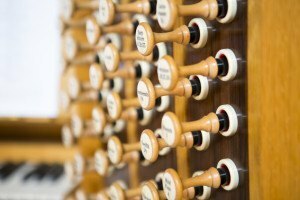 The recent CD recording of the Cathedral Organ, entitled Deo Gracias is available to buy from the Cathedral Shop, priced at £12. This recording is the first commercial recording of the Organ, made by Priory Records, and includes tracks by composers including Paul Spicer, Percy Whitlock, Andrew Carter, Jehan Alain and Marcel Dupre. 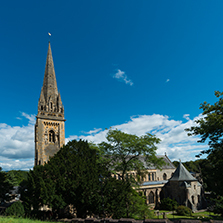 If you would like to purchase a copy then please email the Cathedral Office on office@llandaffcathedral.org.uk. A small charge will be made for postage and packaging. The recording below is of J.S. Bach’s famous Toccata in D minor, BWV 565 played by David Thomas on the Cathedral Organ.